If not match this Fob with your vehicle,not to order. 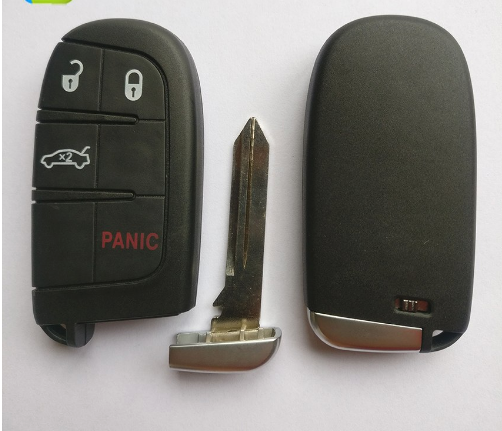 You need confirm current remote key looks the same with ours.Take the internal electronics (include immobilizer/transponder chip/battery base) need to be placed to our key shell,then cut the blade from a locksmith or a dealer to be match the car.This item isn't a remote,it is just a Empty Key Case shell. 1. Key case and uncut key blade only.Not electronic internals. 2. Get blade cut by local locksmith/dealer or swap the blade with your original. 3. This item isn't a remote,it is just a remote key shell case replacement. 4. There is NO interior (remote/electronics/transponder chip)unit inside. 5. The image is of the real product. Not downloaded from internet. Please compare your key shell, make sure your item is as same as our product before you purchase. Generally, it will take 2 days after receiving your advance payment. Remote keys, blank keys, chips,shell etc.